= 186,282.4 miles per second. Saros Cycle is an eclipse cycle of 242 nodal months, 223 synodic periods, 239 anomalistic months and 17 eclipse years. 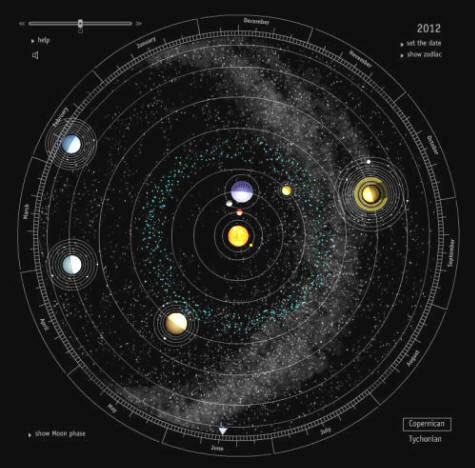 Sidereal Orbit is a revolution relative to a fixed celestial position. Sidereal Noon is the instant of transit of mean equinox relative to a fixed meridian position. of Sidereal Time (FE) is the instant 12 hours, 0 days, 1900 years A.D. with hours in mean sidereal time. Ephemeris Time is the actual count of solar days from a fixed meridian. Tropical Year (YT) is the period from equinox to equinox. Eclipse Year (YE) is the period between the earth and lunar orbit planes node crossings. Temporal Unit (TU) is 36,525 mean solar days since Jan. 0.5, 1900, UT. Universal Time (UT) has replaced Mean Solar Time due to a recognition of the non-uniform rotation rate of the earth. Lunar Synodic Period (S9) is the period of time from one full or new moon to another, that is the time between consecutive alignments of the sun, earth and moon on a plane perpendicular to the plane of solar revolution. Precession (PR) is the retrograde rotation of the earth's axis relative to fixed celestial reference. Annual Aberration is the angular shift in apparent position resulting from motion velocity of viewing from orbiting (moving) earth. Diurnal Parallax is the viewpoint difference due to the rotation of the earth. The amount varies with the latitude of the observer. Diurnal Aberration is the result of observing from a spining observing position on the surface of the earth. Velocity of the observer causes apparent shift to a maximum correction of about 0.0008333° at the equator. Atmospheric Refraction is the bending of light rays by the earth's atmosphere. International Astronomic Union accepted values for January 1, 2000. According to Harleston*, he principle unit of measurement as used by Teotihuanacos was a length of 1.059463 metres. Translated into feet this is 3.47593ft and is accurate to within one part in 19,000 of the double royal Egyptian cubit of 3.4757485ft, in later works he refined the figure still further to be correct to within five decimal places of this length, of which he was at that time unaware. He called the measure a hunab, which in the Aztec language means "unified measure", and the hunab is exactly eight to seven of the Aztec betan, which means "yard". Great Cubit = 30 inches = sacred cubit of 25" plus a hand of 5"
1 Sumerian shusi = 0.66"
The digital orrery created by Piotr Kaczmarek. It is too detailed to be embedded in this article, so click on the screen capture below to load it in a new window. 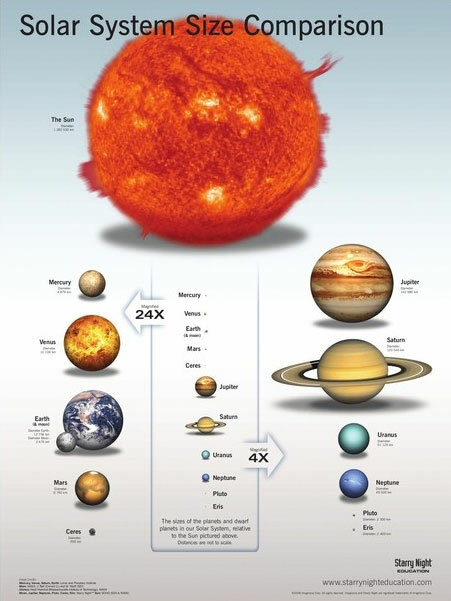 This is one of the best solar system simulators we know! 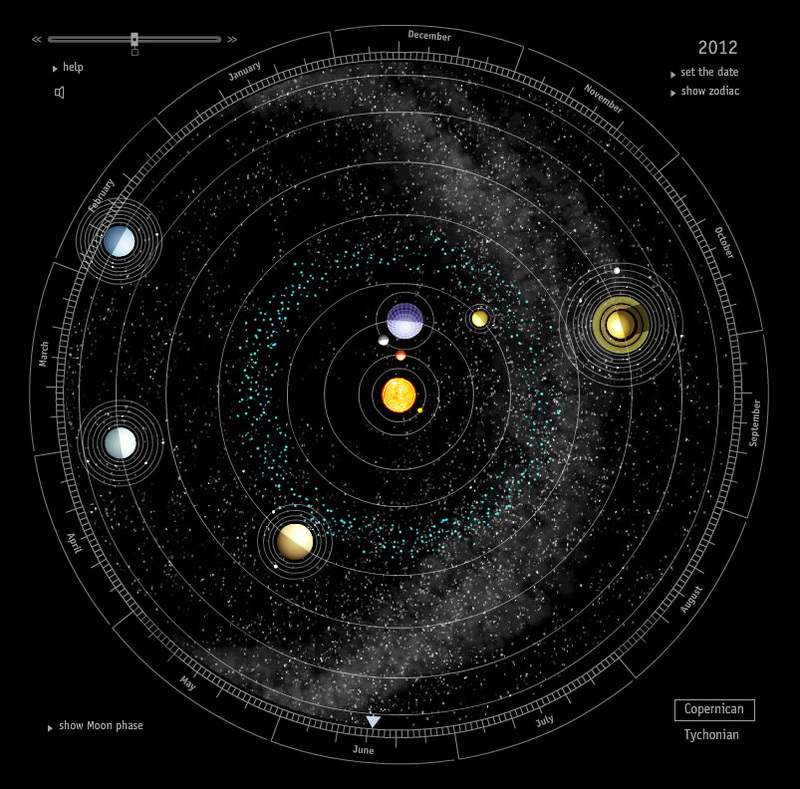 Within the application you can view the solar system according to the Copernican (sun-centered) or Tychonian (earth-centered) model. You can rotate the system by clicking and dragging on the outer ring, or let it move automatically by adjusting a slider in the top left. The Photographer’s Ephemeris (TPE) is a free application for Mac/Windows/Linux designed for landscape photographers.